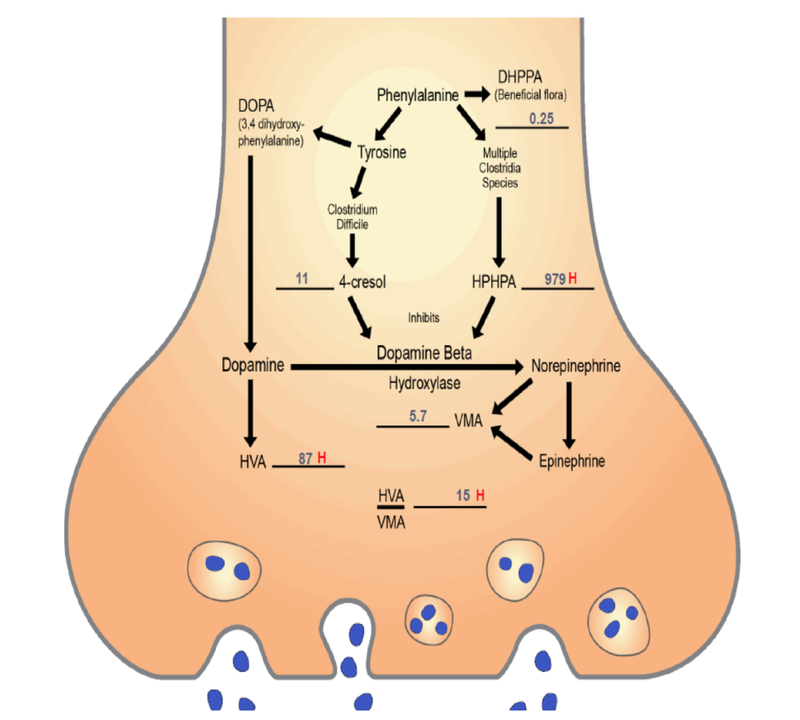 Inhibition of dopamine conversion to norepinephrine by Clostridia metabolites appears to be a (the) major cause of autism, schizophrenia, and other neuropsychiatric disorders. — The Great Plains Laboratory, Inc. Older PostMedical Heresy: Low Cholesterol is Dangerous!